Another job opportunities for those who have been vacant for a long time and want to change phase or try their luck working in other countries. With this simple yet satisfying job, you may find your comfort zone while making a living out of it. 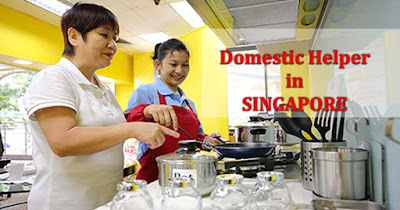 Be one of the household workers or domestic workers in Singapore. Looking for a job that suits your skills as a housekeeper? Have you been searching ages just to find agencies that can send you in Singapore to work as a Domestic Helper? Search no more as we give you the list of possible agencies that may help you fly and land a job. Nothing is better than practicing our hospitality and sharing it to others while earning money at the same time. Not only can you earn money, you can also learn variety of cultures and practices along with household works and nursing. In here, you will learn simple tasks such as cooking, laundry, ironing, providing care for children and elderly, and shopping for food and other household errands. Upon scrolling down, you will see the list of job orders by Philippine Overseas Employment Administration (POEA). How To Cook Special Goto?